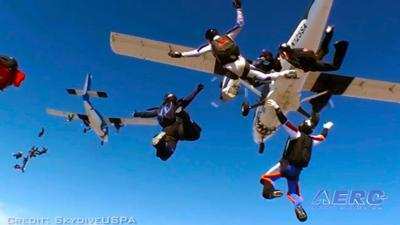 The deadline for nominations for the 2019 induction into the International Skydiving Hall of Fame is December 31st. All nominations must include the proper paperwork to be considered. Created in 2010, the International Skydiving Hall of Fame is established to recognize those who through leadership, innovation and/or accomplishments have defined, promoted and advanced skydiving at the highest and sustained levels such that they have made it possible for generations of skydivers to enjoy the sport. The total membership of the Hall of Fame now includes 63 of the world’s most highly accomplished sports parachutists. Have actively participated in the sport as a member of an International Parachuting Commission (IPC) – affiliated skydiving association. May be living or posthumous. Once a nomination is made, it will be retained on file for future consideration. Please contact Nancy (Kemble) Wilhelm, Museum Administrator, to find out if an individual has been nominated or for further information.